After the unparalleled success of the last two races in San Diego, the Red Bull Air Race Championship returns to “America’s Finest City” on Saturday, May 9 and Sunday, May 10. 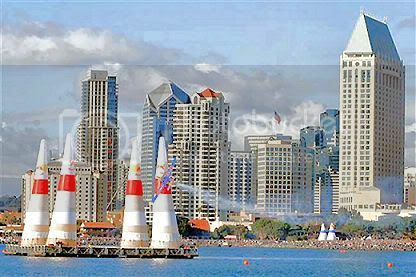 This will be the third consecutive year San Diego plays host to the Red Bull Air Race World Championship, made possible with the support of the Unified Port of San Diego, City of San Diego and San Diego Sports Commission. The action will take place over San Diego Bay with the beautiful downtown skyline as the backdrop.